Ben Bernanke reversed the decline in interest rates and the markets have been feeling it for two days. 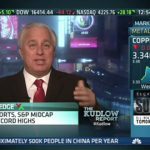 Due to the comments made about an end to money printing the last two days have yielded a 500 plus point drop in the DOW. 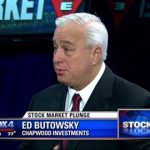 Ed Butowsky, wealth manager, financial advisor, and managing partner of Chapwood Investment Management, joins Fox Business’ Varney & Co. to examine if the sell off that occurred this week was overreaction to the Fed – too much too fast.